Throughout the years of teaching, I have read many books to my students. I love books that encourage others and show that anything is possible. I am in my twenty-sixth year of teaching. I taught third grade for nine years, and I have been a first grade teacher for the last sixteen years. I love my career. I grew up in a small town in Illinois with my dad and mom and three older siblings. There I met my husband and married. We have one daughter that is talented and inspires me daily. We currently live in Indiana. Teaching has always been my passion. I had the most wonderful and loving second grade teacher, and from that grade on, I wanted to be a teacher just like her. I write stories for my students, and someone told me that I should look into getting them published. I have published my second book about The Classroom Mouse. 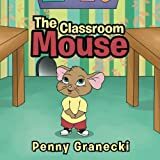 Titled: The Classroom Mouse Goes On An Adventure I have two more written for the series that are not in publication yet. My goal is for a company to want the rights to my books and character (Charlie) so it can be put on shelves and in more children's hands. Charlie is a mouse that lives his life in a primary classroom and experiences things a child would. He experiences learning lessons about nature, going on field trips, being bullied, and more wonderful things. Charlie is a positive role model and connects with children everywhere. My dream is for him to become well known in the literary world, become a stuffed animal for children to hold and love, and ultimately a tv series.